It took over a year from our first meeting to the launch of Gemma Coyle’s new website, but we both agree that it was worth the wait! Gemma contacted me in October 2015 to discuss the development of her new site. She wasn’t clear exactly what she was looking for at that time, but after many discussions back and forth, plus some research, (plus many distractions on the way – work for Gemma and moving to France for me!) we agreed on a design that we believe to be original, clear and, most importantly, the best way to show the current and archival work of Scottish artist Gemma Coyle. 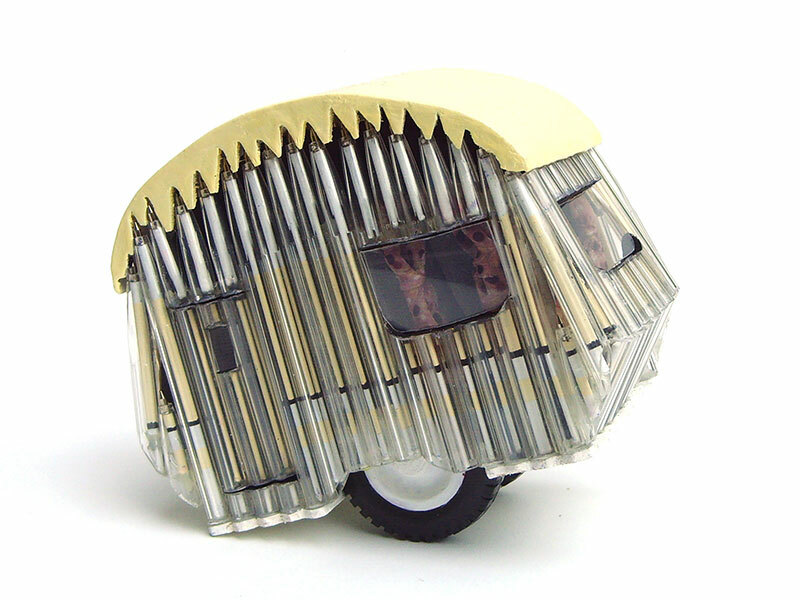 Please read her testimonial below this brilliant picture of her Bonnie Biro Caravan (love it!). I have just launched my new website designed by Julia Douglas and I couldn’t love it more. The only website I have had before was a Blogger site which I created myself and I have always been quite ashamed of it so would never promote it in any way, what is the point! I have always wanted a professional site and I could not be happier, I don’t know why I waited so long. I had no idea what kind of website I wanted at first which is always a difficult start but after some research I had a particular look I was aiming for, which Julia accommodated. Throughout the whole process if I didn’t like an aspect or wanted something changed, then changed back, Julia was there to support and create my vision. A website is so important and is also an extension of yourself and your practice so getting it right was vital. It must be such a difficult process designing a website but designing them for Artists must be even harder, Julia did it perfectly and she wasn’t even in the same country. Thank you Julia I couldn’t recommend you highly enough.